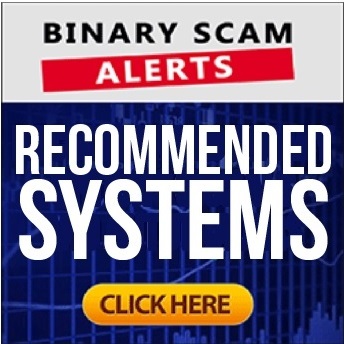 Binary Scam Alerts is reaching out to its Australian Members and warning them about the Sidney System (AKA Sydney System Software, App, and Autotrader) Scam along with Robert Hockton and Jack Flynn. We have recently received a barrage of complaints from day-traders residing in Australia and New Zealand, who have been bombarded with non-stop SPAM E-mails about a bogus offer from spoofed Email addresses illegally soliciting them to register and fund trading accounts with shady and unregulated offshore binary options brokers. Critical Update: Sydney System is being promoted as the Bitcoin Aussie System. So please be careful. Well this was really to easy to debunk. A simple lookup on Google Images exposes this scandalous sham. I mean come on, you can’t do these things today and expect to get away with it. The review sites are too aggressive and they will rip these scams apart in a very professional manner and leave no room for hesitation or disbelief. The image below shows a picture of a Rome Airport transfer service, where Mr. Robert Hockton the image bank actor and his family are prominently displayed next to the “Pompeli-Amalfi Tour” (now that sounds like good fun for a change). The rest of the people on that sales page are cheap fiverr.com actors that will be ready to tell you that they are the Crown Prince of Saudi Arabia if the price is right. Im not even gonna get into the fake social media feed and all the rehearsed get-rich-quick sound bites. In other words, this think has SCAM written all over it, and we didn’t even get to the actual software testing. The final nail in the coffin has to do with the fact that the video is dubiously named “Aussie Clone Rev”. This means it’s a rehash of the Aussie Method scam and Jake Pertu, just repackaged to look a bit different because the people behind it were too lazy to actually produce a quality product. This software is another in a long line of scams offering you push-button riches and instant wealth if you simply register with a recommended broker and fund your account with at least $250. Even the concept of being a dropout student making it big has been rehashed so many times that even if it sounds good, there is nothing new or innovative about it and it should set off alarm bells and red flags all over the place. In reality, this software is fraudulent and it will take random trades at best and most likely choose inferior positions that will cause you to lose your money. You can forget about the fancy charting tools, technical, fundamental analysis, or market sentiment. Trading with a professional signals team from forums will also not help you in the least bit, and you should start making a mental shift from how to profit to how to bail out without losing your house and kids college tuition or pension money. The software is advertised as free, but in reality you would have to make a deposit of at least $250 with a recommended broker in order to qualify for the crummy app. These include but are not restricted to the TSI System Scam, My First Online Payday, Trade X Confidential, Limitless Profits, Millionaire’s Blueprint, Trade Tracker Pro, Binary Matrix Pro, and The Free Money System with Walter Green, Binary App 810, TrianaSoft, the Amissio Formula, Tauribot, Citidel, Push Money App, Centument, Virtual Income, and Insured Profits with Dave and Ginny. I can’t even fathom the amount of systems available online today offering you insane ITM ratios of over 90% and some “super-secret” binary options App that will make you ostensibly richer. Im not buying 90% of what’s out there, but we do believe the Binary Profit Method is up to the task if you are interested in a solid signals tool. If you are interested in an Auto-trader please check out our recommended automated trading section. The Sidney System (AKA Sydney System Software, App, and Autotrader) and Robert Hockton is a rehash of the notorious Aussie Method scam. We are advising all our members and subscribers to avoid this fake trading tool and find alternative solutions. There is nothing genuine, honest, or sincere about this software, and it will surely steal your money and cause you grief. We would like to personally invite you to join our Facebook group and Subscribe to our YouTube Channel.